The quest for higher SEO Rankings and how Google ranks them used to be hard enough to explain to non-SEOs. Add to the mix, SM, SMM, and SSEO and this increasingly complicated field requires mastery over a variety of topics. In an effort to make this easier, we will discuss this checklist containing the major topics needed as the web turns. Higher SEO rankings are dependent on so many moving parts. Some must work in harmony with others and some function in complete isolation from all others. The type of content and it’s bottom-line function determine which methods are used and repeated. If we’re painting with broad strokes, then the SEO process is pretty clear. 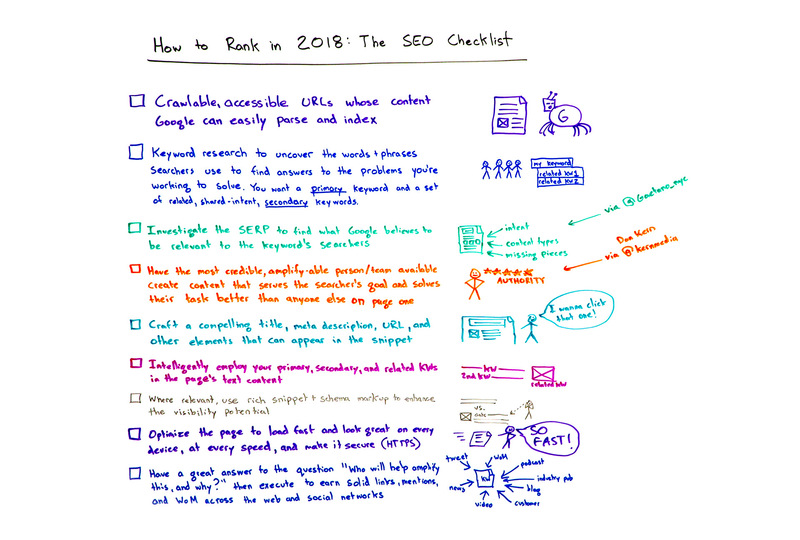 We will focus on these broad strokes that will guide you through the basics of what it takes to rank great content that will reward you with higher SEO rankings in 2018. 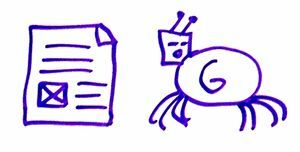 A Googlebot spider visit is what all SEOs crave. This spider comes to read text, images, embeds, video, iframes, or whatever is on your page. This is how yours and all web content in Google search results are listed in their web index. Without indexing, nothing else matters. Keywords are and will always be vital to higher SEO rankings. It’s important to understand what keywords searchers are using to find the answers they need when they search for something. Your entire organization, website, and it’s content must focus on these keywords because they are the connectors to your target. Keywords come in two types, primary and secondary, and reveal the users intent. This intent must support your keywords because this will guide the flow of your content. Once you’ve tapped into this flow, higher SEO rankings are inevitable. Here’s where you get to be a SERP investigator. Perform a Google search and examine the results you see. This is what Google thinks is relevant to the keyword you used to search, or how Google would answer the query. This will reveal intent, the kind of content required, and missing search results. The missing search results are what you should focus on serving and if you serve it well you just might be rewarded with prime Google real estate. IV. Be an Authority and serve better than anyone else on that page. You need a rockstar to create the content, but if you don’t have a rockstar, make sure who ever creates the content is credible. This helps with sharing across other networks, building links, and amplification. This is eye-candy for your searchers, your visitors and to Google spiders, so as often as you can find a rockstar. If you can’t find a SEO rockstar, then you must become an SEO Authority. Eye-candy is what you must become by serving the best content that answers the searcher’s question and helps to solve their task. If you don’t provide these answers nothing else you do will give you higher SEO rankings, because while you may have a short-lived success an rank well, if you don’t keep people coming back, sharing, and attracting new eyes, then Google will see that you are not serving as well as other rankings and you’ll be headed down the rabbit hole; in a bad way. Your snippet determines your ticket. Google loves great meta titles and descriptions; still. Both title and description are used in SERP results and when sharing across Social Media networks and marketing platforms. Your pages URL most likely will be truncated but the title and description are important. In fact, it’s one of the most important things about your content because it will cause the searcher or visitor to either click or avoid your search result all together. Google displays the results, but your snippet tells it how to do that. When you find the balance between finding words and phrases people want and making them relevant and click-worthy, then you are on your way grasshopper to becoming a True SEO Master. Remember the two types of keywords, primary and secondary? Now it’s time to dive deeper into those secondary and supporting keywords and how to use them in your content to further solidify your content as highly relevant to your primary keyword. Even if your focus is video or images, these supporting keywords should be tastefully used to build relevancy. Since legibility is key in creating content that educates and serves solutions, you will need these supporting keywords to break the habit of repeating the keyword solely for the purpose of density without straying too far away from laser-targeted content that visitors can’t get enough of. Rich snippets and schema for SEO aren’t for everyone, but if this is you, definitely take advantage. If you deal in recipes, flight and travel information, ecommerce, or want to be listed in Google News, you should really pay attention to schema and rich snippets. Schema and rich snippets enhance the way your sites content is displayed in SERPs and in your Google business profile and these enhanced meta details help to achieve higher SEO rankings. Websites have to not only look great, they must also load as fast as they can and be secure. Your website should be fast and fabulous on any device the searcher uses to find you. While HTTPS is an important box that Google checks off when grading your website, it’s not the only thing to focus on in making your site secure. When you content provided such a unique and thorough answer or perspective then others will help you amplify if you get it out the the right channels. Mentions and links are gold so it’s important that your content it sharable and gets put out consistently as high quality and highly relevant to Google’s bots and to human beings alike. If you can do all these thing you will rank very well in 2018. If I’ve missed any of the basics, please feel free to add them in the comments section or message me directly via Twitter @AppliedVisual.